Your baby is now an experienced walker, but there are still developmental benefits to be had from crawling on all fours. The crawling milestone provides a foundation for a lot of other important developmental skills. During the period of crawling, your baby is strengthening their trunk muscles for core stability, and they are strengthening their shoulder and hip girdle and hands by weight bearing. Crawling is great for the development of tactile sensitivity. Babies are also building important visual skills by being on the floor close to all their toys. They are also training the two sides of their brain to work together by the whole-body reciprocal motion of crawling. 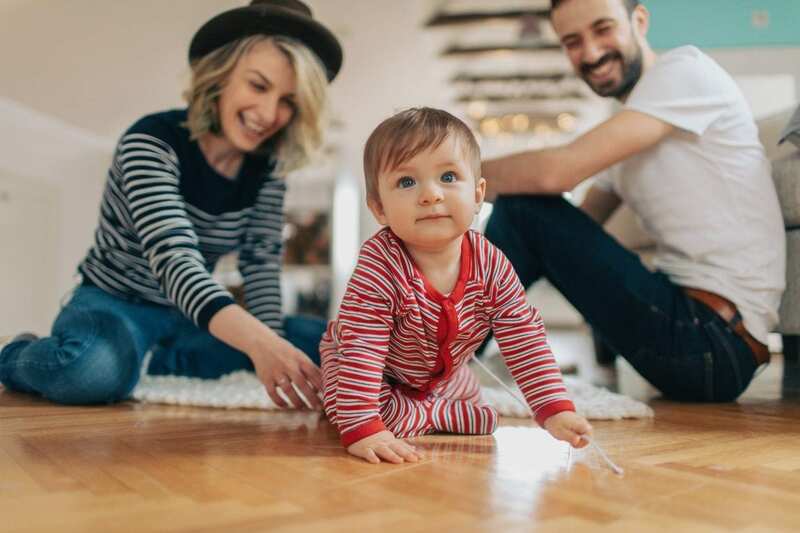 Even if your baby is becoming a toddler and feeling steady on two feet, you can bring them back to the floor to get the biggest bang out of the crawling “buck” to keep building on these important skills. Sprinkle a little bit of powder on the carpet and encourage your baby to crawl through the powder to rub it off the carpet with their hands and knees. This is great for sensory processing. They are feeling the sensation of the carpet on their skin, processing the smell of the powder and visually seeking the powder to rub it out. Make painters tape “roads” on low pile carpet or floors and encourage your baby to drive cars on the roads. This is great for balance as they have to use one hand to drive the car. Set up an obstacle course of pillows to crawl over, chairs to crawl under and tunnels to crawl through. This is great for building spatial skills, problem solving, depth perception, and binocular vision. This is also great for balance and motor skills as they maneuver through the obstacles. Play chase games and crawling races with your baby. This is great for social interaction and development of the motor skills for crawling and moving quickly. Try to get your baby to crawl on different textures. Think grass, sand, silky scarves and blankets. This is great for sensory development as well as coordination and balance. Put mirrors on the floor or low on the wall so your baby can look at himself while he crawls. This will help to develop vision skills. We always celebrate that first step, but don’t say good bye to crawling too soon. The benefits of encouraging crawling go far beyond getting from point A to point B!